Described above is an elementary tactic used by special interests throughout human history, and today’s special interests being no exception. Today, the contrived threat of choice is “terrorism.” It is a well-documented fact that organizations like Al Qaeda and the so-called “Islamic State” (ISIS), are creations and geopolitical tools of the United States, its European allies, and its Middle Eastern subordinates, including Turkey and the Persian Gulf states. The means of keeping this contrived threat fresh in the minds of the public is Islamophobia – the scapegoating of some 1.6 billion Muslims around the world for the deeds of US-Saudi indoctrinated, armed, funded, and backed extremists. Image: Groups like the UK EDL, PEGIDA, and others are created and run directly by special interests – ironically the same special interests organizing, funding, and directing the very extremists Islamophobes are scapegoating all of Islam for. 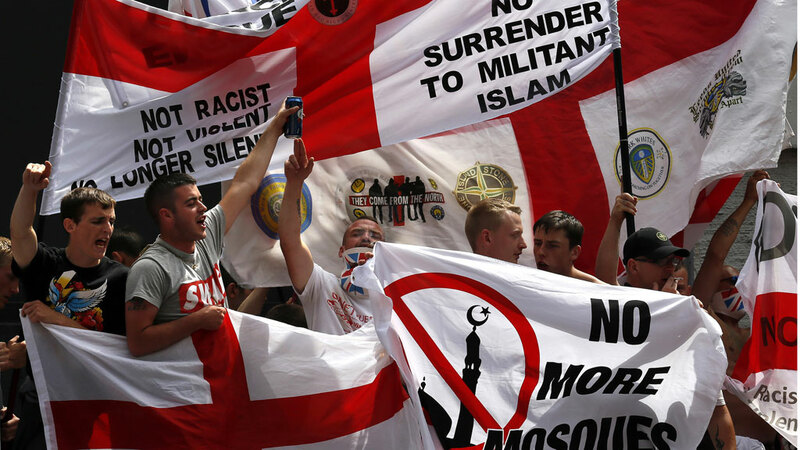 Many EDL/PEGIDA members are concurrently violent football hooligans and/or Neo-Nazis, thus, a lack of informed discernment should be no surprise. The role the United States and Saudi Arabia played in the inception of Al Qaeda during the 1980’s to wage proxy war on the Soviet Union in Afghanistan is documented history. What is less widely known, is the role these same two nations played in the creation of ISIS -which admittedly branched off from Al Qaeda. 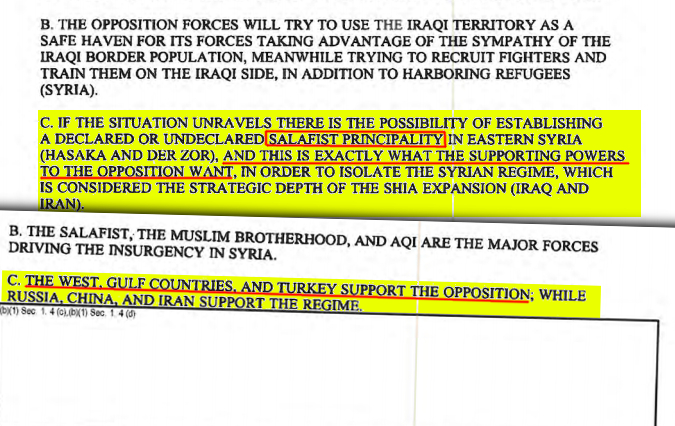 However, America’s own Defense Intelligence Agency (DIA) admitted in a leaked 2012 memo that indeed, just as Al Qaeda was created to wage proxy war in Afghanistan, a “Salafist” (Islamic) “principality” (State) was intentionally created in eastern Syria to wage proxy war against Damascus. It is clear then, that if the US and its allies are behind ISIS, then attacks attributed to ISIS are either directly or indirectly related to US foreign policy. It is very clear that ISIS serves Western objectives in the Middle East and North Africa region (MENA) by waging war against precisely those governments the US itself has slated for “regime change.” ISIS also serves as a convenient pretext for direct military intervention abroad when possible. What may be less clear to some, is what the US and its allies have to gain when ISIS launches attacks in France, Belgium, and other targets across both East and West. It would be curious – and it also happens to be the verified truth. A growing ecosystem of Islamophobia networks is centered around a cadre of Neo-Conservatives who led the United States into the Afghanistan and Iraq wars, as well as advocated for wars against Iran, Libya, Syria, Sudan, and many more in the wake of the September 11, 2001 terrorist attacks in Washington, New York, and Pennsylvania. One of the highest level former US government representatives publicly involved, John Bolton, was a vocal advocate for global war including in Iraq, Afghanistan, Syria, Libya, and Iran, and has for years served as the gravitational center of at least America’s Islamophobia subsidiary. Around him orbits media personality, racist, bigot Pam Geller, Robert Spencer, and Project for a New American Century (PNAC) signatory, Daniel Pipes. Image: Not only is America’s Islamophobia subsidiary linked directly to US government representatives directly involved in both the arming, funding, and exploitation of terrorist groups and the various wars fought upon the pretext of “fighting terrorism,” but this subsidiary interlocks with those across Europe including the UK’s “English Defense League” and PEGIDA. 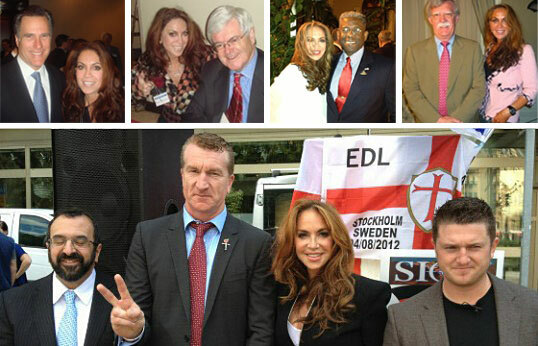 The special interests characters like Bolton, pictured posing with Geller top, right, represent, have made literally trillions off of the wars predicated on the fear, hatred, and hysteria perpetuated by Islamophobia. Further in the peripheries, are faux-alternative media cognitive infiltrators like WorldNetDaily run by Joseph Farah, a card-carrying member of the Neo-Conservative war lobby and an associate with many advocates who have played a direct role in the subversion and destruction of Syria. Farah himself is Syrian-Lebanese, and involved heavily in organizations created by the US aimed at the overthrow and reordering of the Levant. WND, Pam Geller, Robert Spencer, and many others who lead the American Islamophobia subsidiary, in tandem with their European counterparts, have invested years in fanning the flames of misunderstanding, hatred, fear, and hysteria among Western populations. They do this to both divert from the fact that the very interests they represent are the source of global terrorism carried out by Al Qaeda and ISIS – creations not of Islam, but of US foreign policy, and to create sufficient rhetorical justification for continued American intervention overseas across MENA and beyond. The West has scarcely managed to justify its many and still multiplying wars abroad, and global consensus regarding America’s role in the creation and perpetuation of Al Qaeda and ISIS is reaching critical mass. It is not difficult to see that without the significant Islamophobia being spread through at least segments of the world’s population, just how much more tenuous US foreign policy would be. 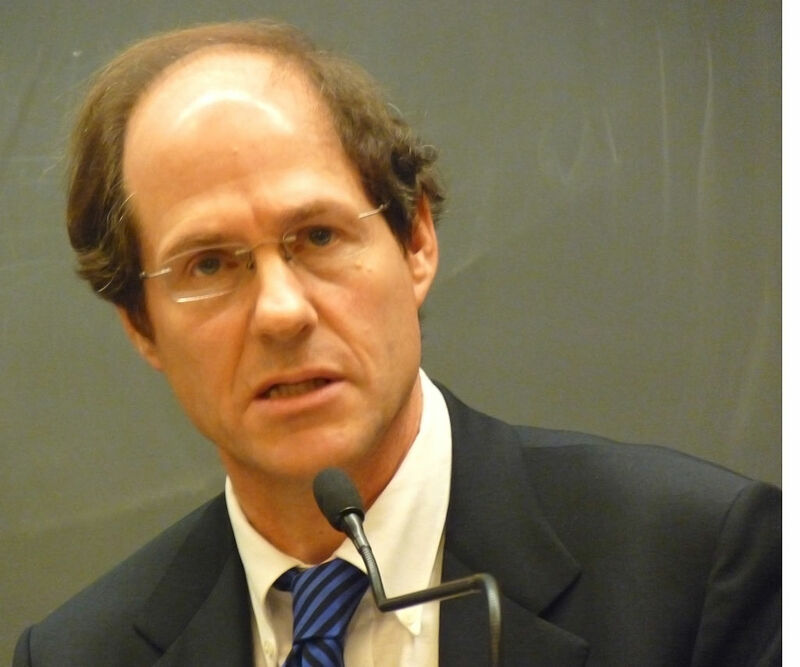 It has been a stated matter of US policy, best articulated in former-US Administrator of the Office of Information and Regulatory Affairs Cass Sunstein’s “Conspiracy Theories” paper, to infiltrate and redirect the alternative media, who even years ago, had already begun to significantly undermine US spheres of influence within global information space. Called “cognitive infiltration,” the idea was to infiltrate the alternative media with messages not directly contradicting the truth, but contradicting it enough to slowly bring readers, viewers, and listeners back into government controlled narratives. That is precisely what WND and those that have since found themselves in close cooperation with them and paid lobbyists like Pam Geller and Robert Spencer have done. 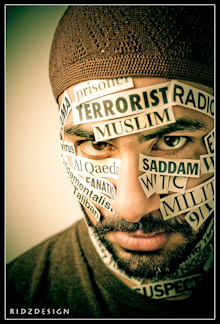 Co-opted alternative media organizations that had for years warned the public of the dangers of false flag terrorism, US government involvement behind both Al Qaeda and more recently ISIS, and who had warned of Western attempts to scapegoat religions, races, and political systems to divide and control people, are now directly complicit in doing all of the above. What is left is for genuine alternative media to recognize this split and continue focusing on telling the truth overall – and in particular – the interests and agendas being served by the Islamophobia industry. Co-opted alternative media organizations that had for years warned the public of the dangers of false flag terrorism, US government involvement behind both Al Qaeda and more recently ISIS, and who had warned of Western attempts to scapegoat religions, races, and political systems to divide and control people, are now directly complicit in doing all of the above. 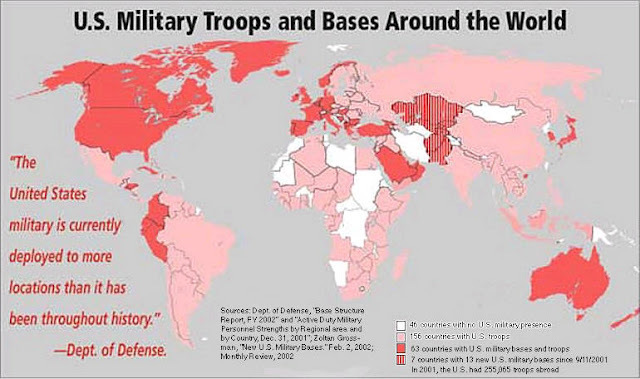 Image: It is a hard sell for US policymakers to justify the price in public treasure and blood paid to maintain global hegemony like that depicted on the map above. It would be infinitely harder without the contrived threat of “terrorism,” and to ensure the longevity of the “terror” narrative, much has been invested in the Islamophobia industry. The goal should not be to fall into perpetual infighting with these co-opted individuals and organizations. The goal should be to treat these sell-outs precisely as the rest of the corporate-controlled media is treated – a voice to be exposed by simply documenting and reporting the truth. Lying about Groups of People to Start Wars = Oldest Trick in the Book: Why are Some Still Falling for It? While in hindsight, considering the lies that have been told to sell wars to the Western people, and the documented wealth, power, and influence these wars have brought special interests at the cost of the rest of humanity, it should seem obvious to people that those peddling Islamophobia have vested monetary and political interests in doing so, and that the truth certainly lies well beyond their simplistic generalizations, slurs, and vitriol. But because indulging in racism and bigotry is a path of lesser resistance than informed inquiry, research, and self-guided learning, the establishment has found a means of diminishing the impact of alternative media. It will be up to genuine alternative media to find a way of restoring and even expanding upon its previous impact. Lying about groups of people to justify perpetual war profiteering is one of the oldest tricks in the book. If the alternative media is unable to confront and confound such elementary tricks, something is systemically weak within the alternative media itself. If the alternative media is content with reporting whatever will bring in readers and revenue, they are no longer the alternative media – they are bad copies of establishment propagandists. If the alternative media is serious about the truth and a future for themselves, their friends, family, and communities, this Islamophobia – and all ploys like it – must be confronted and crushed alongside all the other lies told by special interests.